Brighten Up Your Day With Hayley Colours Art! Hayley Andruko, of Hayley Colours Art, is an emerging Edmonton artist and full-time elementary teacher, working mainly with acrylic paint, lino-cut printing, pastels and digital medium. 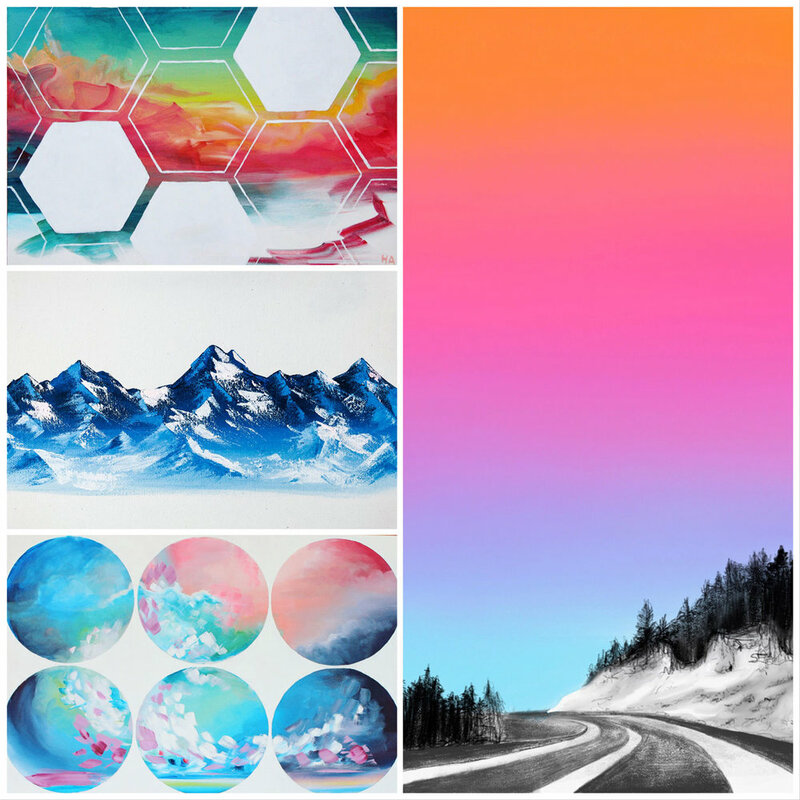 Hayley's art is inspired by nature, incorporating bright colours and geometric shapes with mountain-scapes, floral and anatomical designs. Hayley is new to the Royal Bison family and we're really excited to have her! You can keep up to date with Hayley Colours Art on instagram (@hayleycolours) and read on down below to see what inspires Hayley to create! HAA: Art has always been second-nature to me! I’ve been colouring and painting since I can remember, although only recently started sharing it with the world. I am constantly inspired by bright and beautiful colours, views while travelling, or the creativity and energy of my students at school. HAA: This spring, I wanted to focus on sharing my art in an affordable and accessible way. I’ve been making prints of my favourite original pieces for fair-goers to take home without breaking the bank. HAA:Just trying to get myself out there! I love meeting and connecting with other people in the creative community and learning from other experienced artists. Other than that, I’m going to focus on my online-presence and marketing myself to maximize artistic opportunities (that one’s a bit of a chore), as well as work my way through sizable list of commissioned paintings!